When the fog rolls in, clear the air with a San Francisco Flier in black and white. 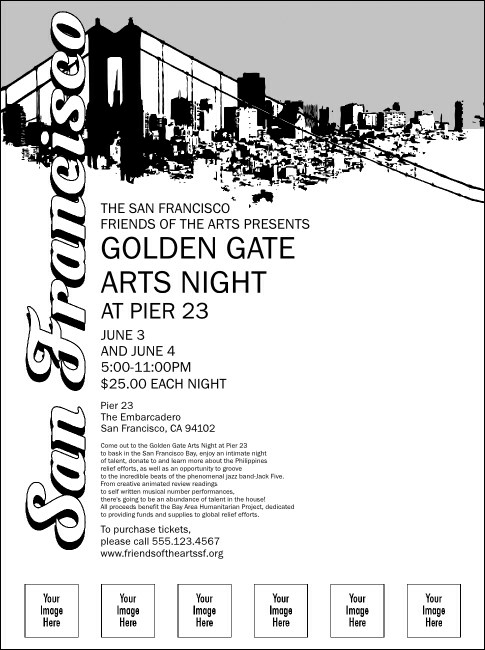 Cover the City by the Bay with this skyline-themed Flyer. Just upload six images, logos, or photographs from your personal computer to our ticket template, enter your event details, and we'll print and ship your publicity materials fast. Make it to the top of the hill with TicketPrinting.com.